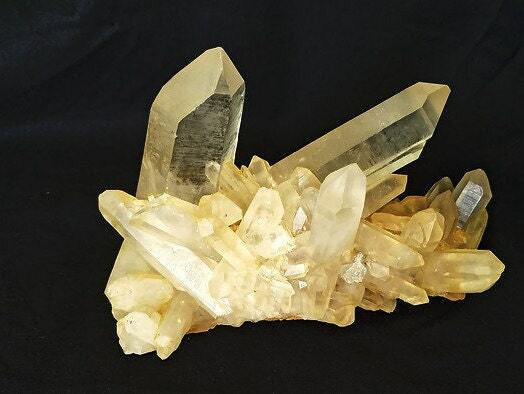 Lemurian Golden Healer Cluster - Rare. 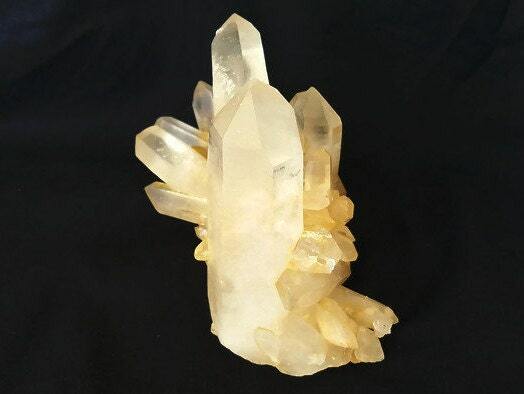 The wide point has a seven sided face. 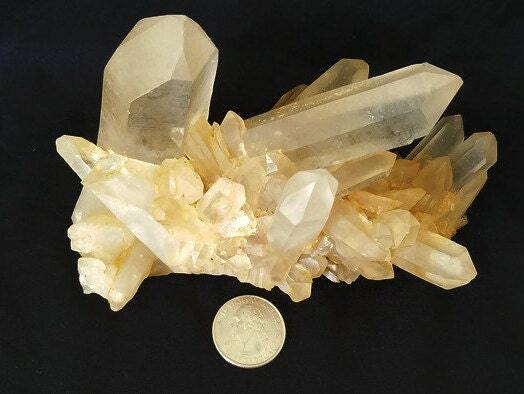 The crystals have an translucent look due to a natural film covering and striations. 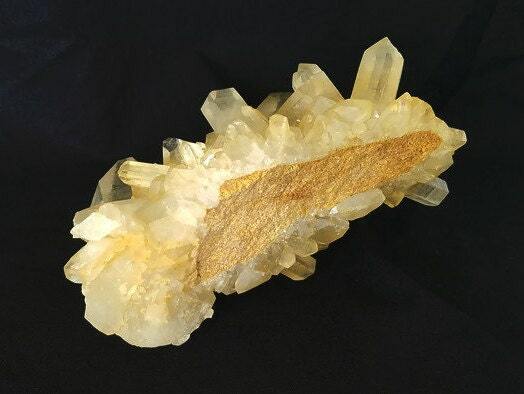 The inside of the crystals are a clear & golden. 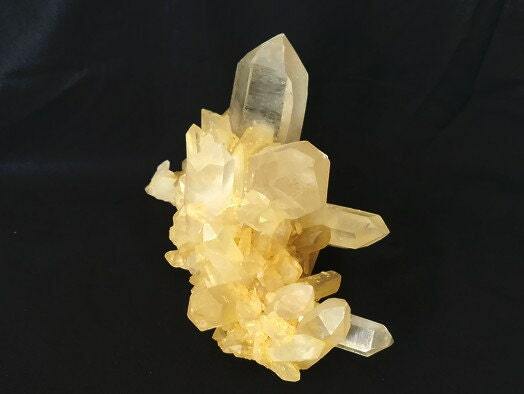 Golden healers have a wonderful vibrancy and this cluster is no exception. 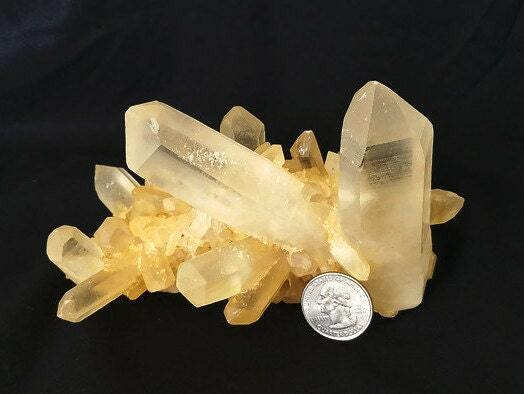 Although golden healers are balancing for the solar plexus (3rd chakra) and help stabilize the emotions, they actually balance the entire chakra system. Adding this to a room can help create a soothing environment.